Still fresh in my mind, I’m reblogging this as I ponder randomthoughts point of view. The news is going bonkers over the murder of another captured reporter by Isis. This is indeed a nasty, revolting event. But I am wondering, and I have asked this before, is this killing any more tragic than the killing of unarmed teenagers that is going on in America today? I also remember back to Desert Storm one our first attempts at controlling Saddam Hussein. I remember an event that took place and was discussed in a news conference with General Norman Schwarzkopf, Jr. It seems the Iraqi army had built trenches in the desert to hold back the invading American forces. The Americans simply bulldozed the trenches burying the unsuspecting troops and sweeping into Baghdad unfettered. In a press conference General Schwarzkopf was asked if this action (burying them alive) was not inhumane. He responded saying *Well I guess we could have shot them all first. A big part of our road trips is finding unexplored routes, especially in familiar territory. 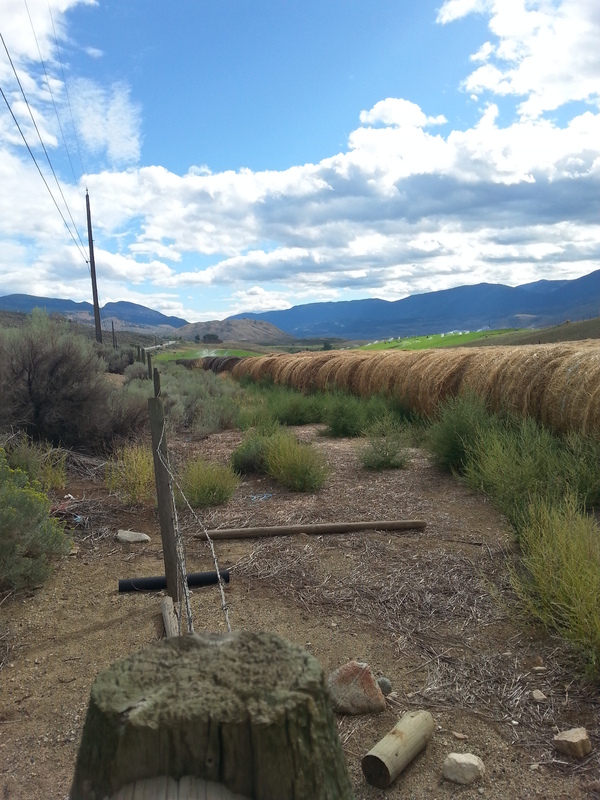 The pet cemetery near Okanagan Falls is a perfect example – unexpected, undocumented pockets of “holy crap” when you least expect it. Without exception, our off the beaten path discoveries have been quaint, obscure little treasures – Highland Copper Mine changed everything. 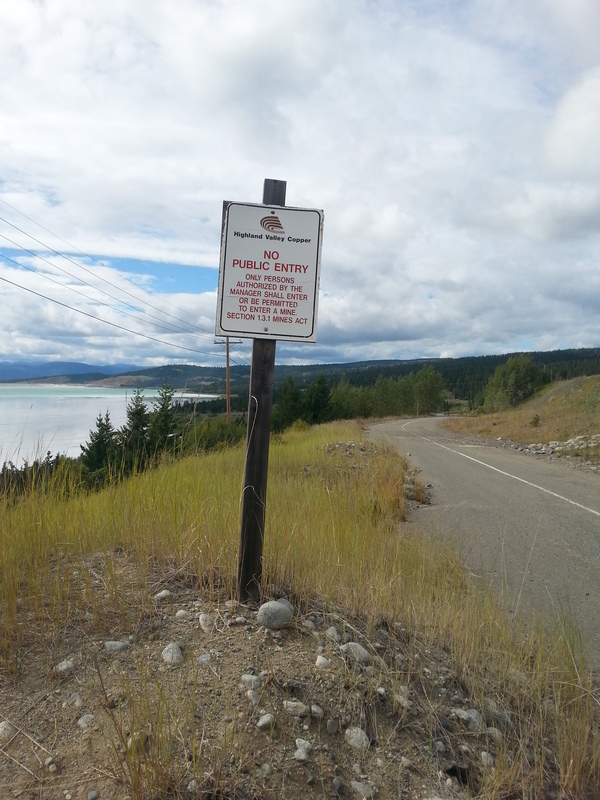 Highway 97C between Logan Lake and Ashcroft began as a lazy drive through cattle country. The route was fresh, the landscape etched as a postcard in my mind. 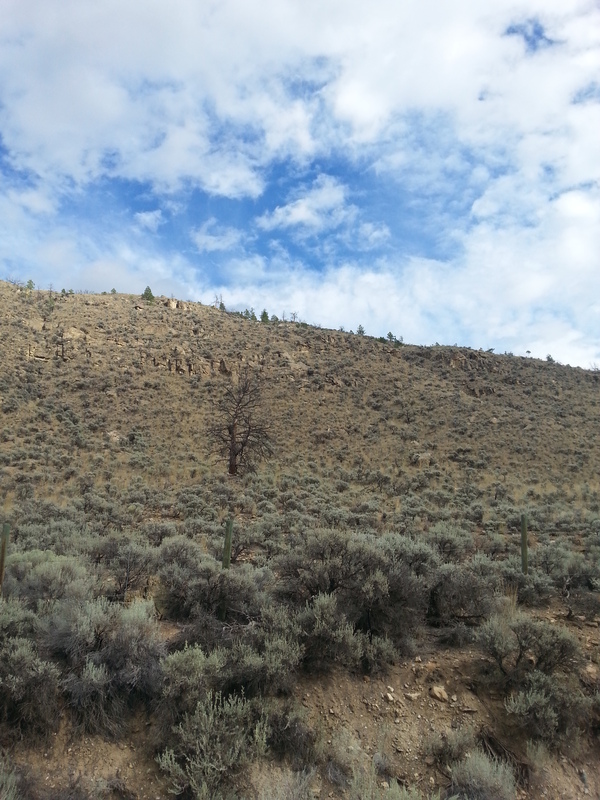 I grew up in these canyons – smiled happily as hues of sagebrush parade, marched beside familiar shades of ancient rocky cliffs. Punctuated by unapologetic bastions of determination – scattered hay fields, century old barns and log houses – every few kilometers a sprinkle of tenacity or hope. 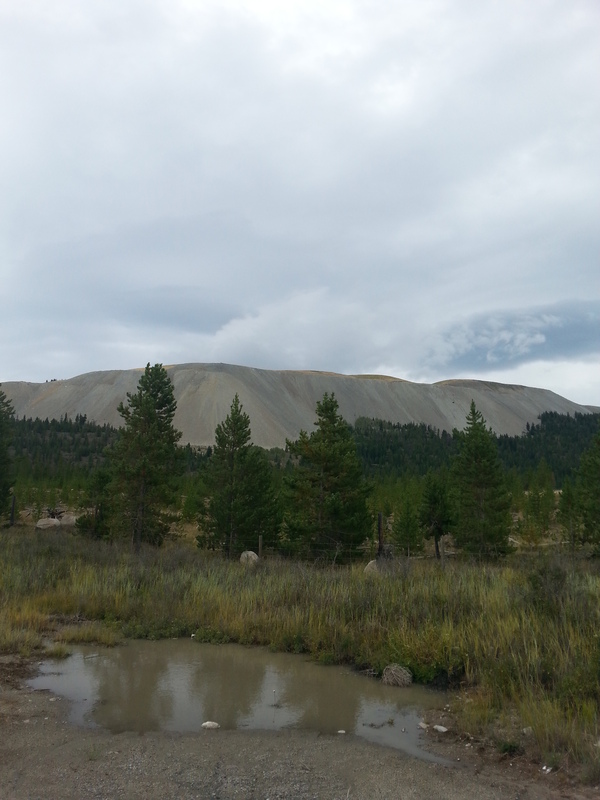 We recognized the open pit mine long before enormity took shape. Familiar contours replaced by barren, symmetric slag heaps – flat topped mountains of earth commanding the horizon. At each turn, expecting the canyon to resume -met instead by increasing layers of astonishment. 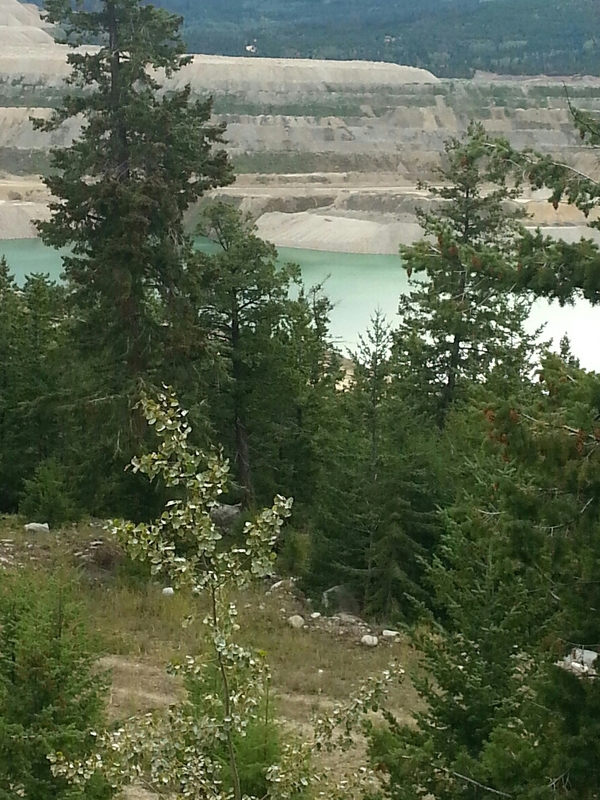 Glimpses of the actual “pit”, slag mountains as far as the eye could see, then the tailing lake. Attempts to photograph realities of this place proved futile. Much like trying to cram the Grand Canyon into a single frame – it has to be seen to be believed. 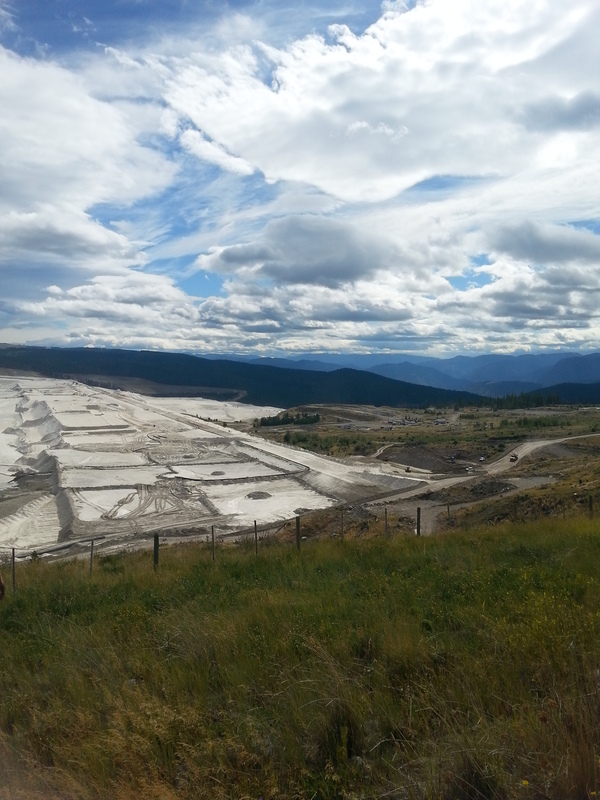 Nothing prepared me for stumbling upon Canada’s largest open pit mine. In my mind a tailings pond was akin to sewage treatment tanks, a far cry from the caustic lake stretching kilometers along the valley. The white foreground is actually several kilometers of freakish dry sludge – at first glance much like salt flats – until the wind picks up clouds of fine dust, then it becomes anyone’s guess. 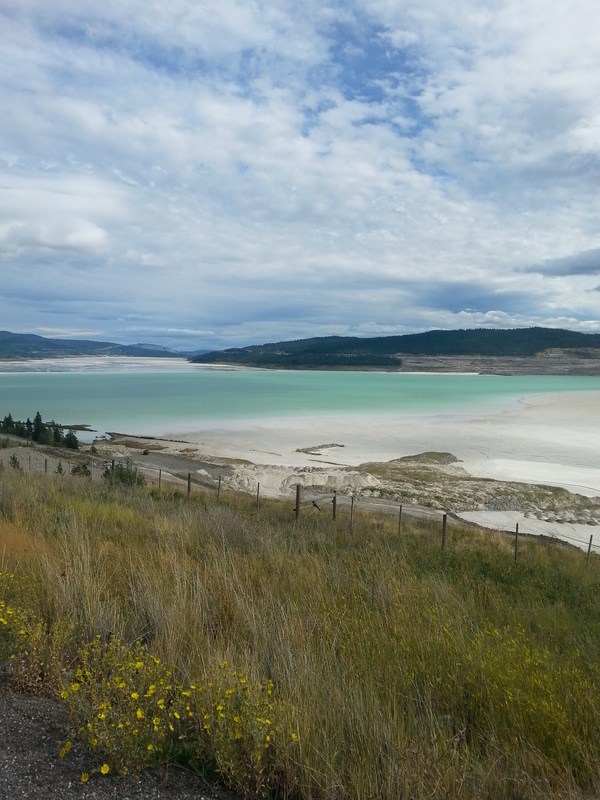 The turquoise section is “wet”, forming the widest part of the “lake”, also situated at the “business end” where a steady stream of over-sized vehicles maintain the “dam”. Obviously not my photo, but capable of conveying my sentiments. Highland’s gigantic proportion is likely relative to “low grade” copper extracted at the mine. Unimaginable digging and removal is required to produce copper from a less than prolific source. 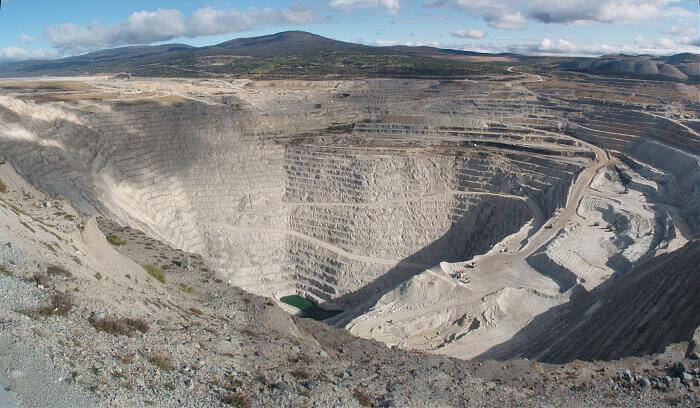 Highland is the third largest copper mine in the world, yet produces less than 2% of world copper. I’ve seen pit mines and slag heaps over the years – none pretty, yet viewed with fascination rather than horror. The magnitude of Highland Copper struck as a fist down my throat. Speechless, sick to my stomach, unable to believe my eyes or ponder how it was possible. In operation since 1962, practically in my backyard – how could such a monstrosity fly below radar all this time? Rather than spill my guts the moment I walked in the door, I’ve spent the last week researching Highland, open pit mining and tailing ponds. Wanting to be certain this silent behemoth deserved every ounce of bile in my mouth seemed important. Deep down I was hoping Highland avoided scrutiny because it was different – oh man. Highland is a mining sector darling – awards and commendations for safety, accolades for planting 700,000 trees, praise for monitoring toxic elements in surrounding land and rivers, promising to put on their thinking caps any time environmental ripples contradict their glossy press releases, assurances “biomass is increasing back to the levels before disturbed by mining”, carefully worded declarations of responsible approaches to re-seeding acres of lifeless waste – endless streams of self serving poppycock. Nothing, save a few thousand years of nature giving it her best shot, will dent unbridled destruction in the name of almighty dollars. This place is unbelievable – hands down, the most disturbing turn I’ve taken in decades of road trips.